The artist works in oil, acrylic, pastels, and watercolor. 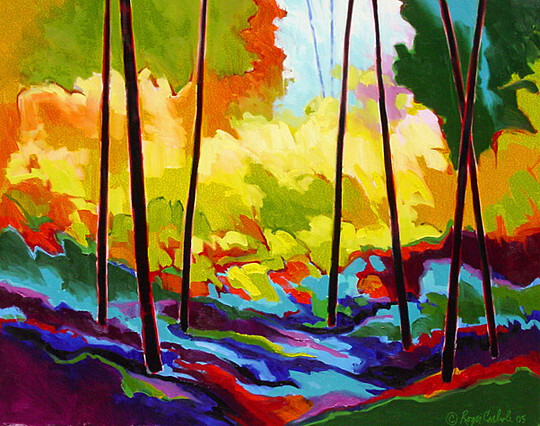 His striking landscapes have a broad range of vibrant color, mood, and style. His work has been shown in major competitions throughout the country, including Arts for the Parks National Competition in Jackson Hole, WY. His work has won major commissions and prizes. He was commissioned to design the Arkansas Sesquintennial Stamp in 1986 for the U.S. Postal Service and numerous collector panels for the U.S. Postal Commemorative Society. Please join us for our Opening Reception with the Artist on July 16, 2010 from 5:00 - 8:00 p.m.